...with my parents. That's right - Chris had to work late last night, so I spent a romantic evening with my parents and my sister. 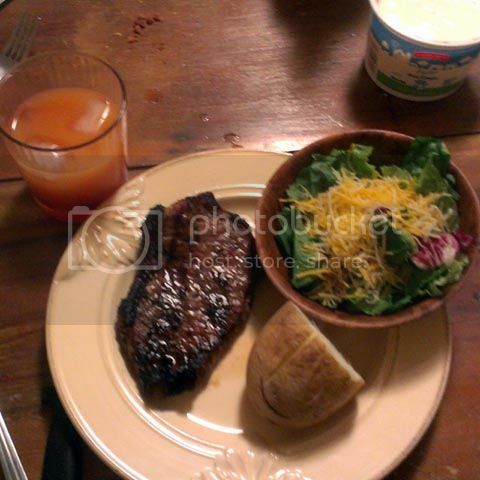 We had steak and salad and baked potatoes for dinner, with refreshing whiskey sours to wash it all down. 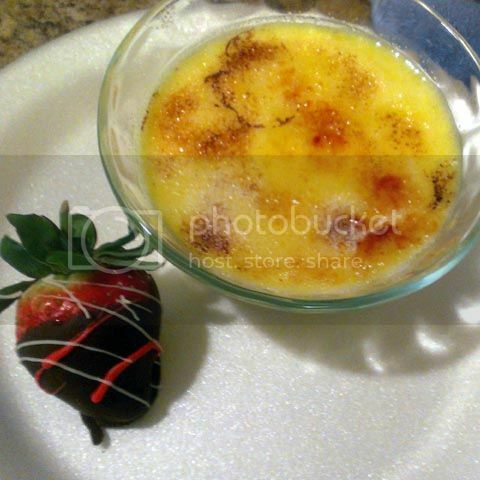 For dessert we had homemade creme brulee and chocolate covered strawberries. 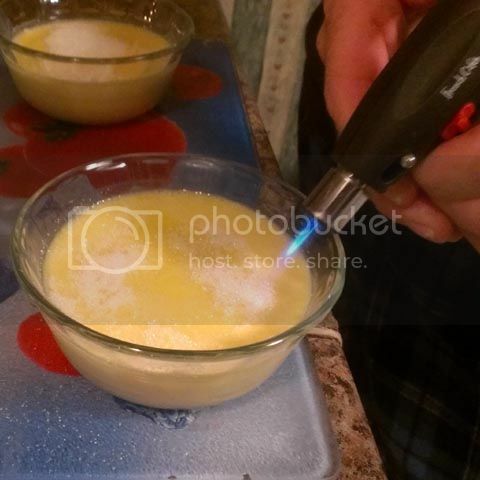 My dad makes a killer creme brulee, let me tell you. 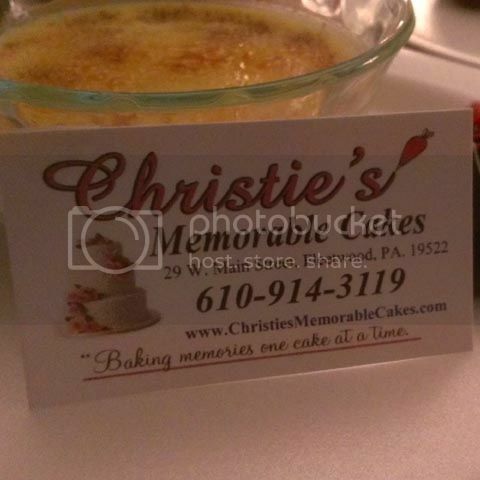 The chocolate covered strawberries came from Christie's Memorable Cakes in Fleetwood. He asked if I would post this business card for anyone who is interested. You can also check out their website for more information.